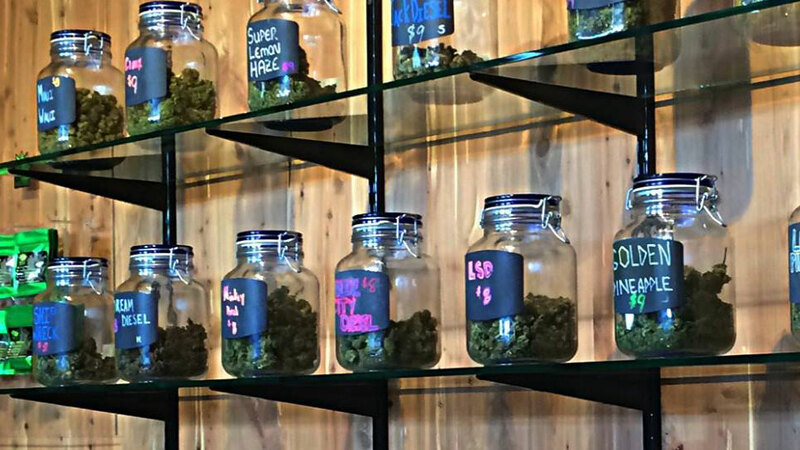 CannaCopia Collective, on 3rd St in the middle of Bend, started with the idea that there was a real need for patients to be able to acquire quality, marijuana-based medicines in a safe and clean environment. With the development of the recreational market, Cannacopia now offers a full range of recreational products to regular consumers as well as medical patients. They say Cannabis extracts are a great way to treat inflammation and other medical symptoms such as nausea, pain, and anxiety. Medical marijuana may be smoked, vaporized (heated until active ingredients are released, but no smoke is formed), eaten (usually in the form of cookies or candy) or taken as a liquid extract. They cater to medical patients by stocking a diverse and delicious selection of cannabis edibles, but everyone can enjoy their products. They also sell cannabis clones and seeds so you can grow your own high-quality products at home.